What is money? Is it the same in all times and places? If money could speak, what stories would it tell of the past? 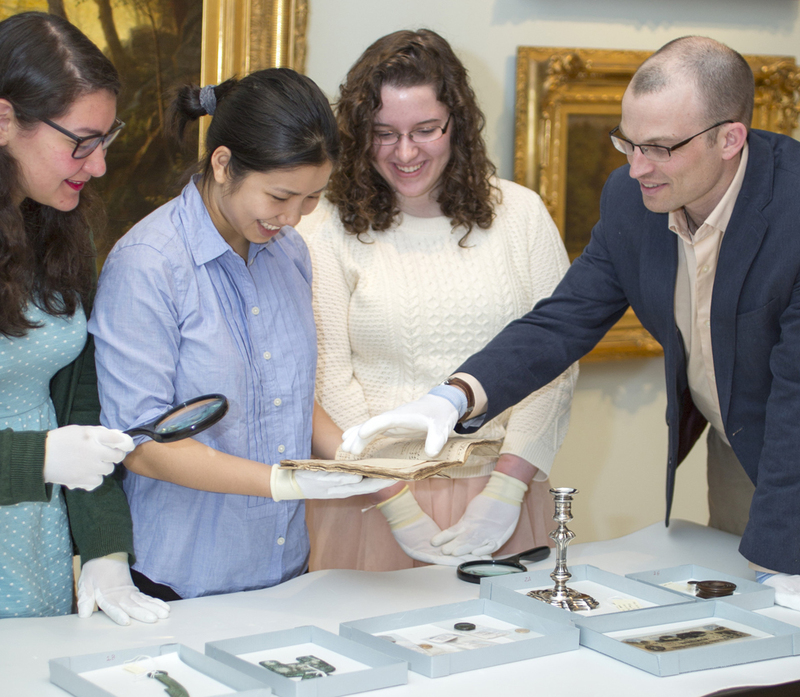 In the spring of 2015, Desmond Fitz-Gibbon, Assistant Professor of History, spent the semester with his “History of Money” class discussing and unlocking the educational potential of coins and related objects. His students had a unique hands-on opportunity to examine the Museum’s impressive collection of coinage from around the world and across time. The course focused both on the history of money and money as an object of history. Using primary and secondary sources, students learned about the social, political and cultural meaning of money at different times in the history of the western world.